There are plentiful jobless guys in the country and one amongst them is Vijay, our protagonist Sai Dharam Tej in the upcoming flick Chitralahari. But, his failure story will emotionalize any unwaged youth. Chitralahari Trailer has been released today, just five days ahead of the film’s theatrical outing. The trailer spotlights on protagonist and his unsuccessful tale. The only reliefs for him are his father who encourages him despite his failure attempts, his classmate Kalyani Priyadarshan who treats him like a close buddy and his glass mate Sunil who gives him company in tough times. Vijay’s boss call him ‘rejected peace’ and the visuals in the trailer show his unproductive efforts to achieve success. Even his father in the end is seen losing hopes on him. And female leads Kalyani and Nivetha Pethuraj too moves away from him. 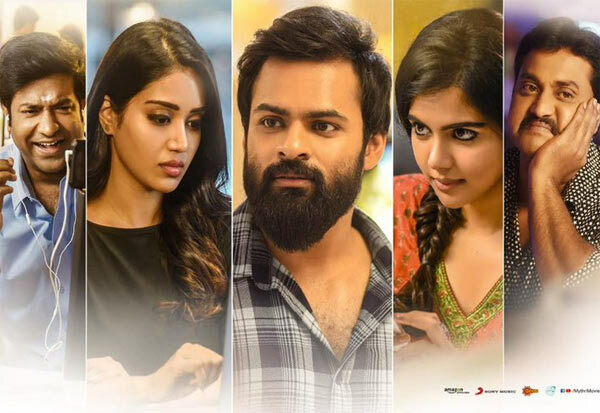 Chitralahari Trailer connects well to jobless youth who are ambitiously waiting for success in their life. Directed by Kishore Tirumala, Chitralahari is slated for release on 12th of this month. Pawan Is Back! Charan to Join Him?